Volunteers of America Greater Ohio, Youth Educational Center: The grant will support the Brain Games & Activities program at the Youth Education Center, which provides after-school and full-time summer enrichment programming for homeless and at-risk youth in Columbus. The project will give students the opportunity to learn how to use a computer, and provide learning opportunities in a variety of grade-specific concepts suited to their needs. In addition, this project will help children exercise by giving them opportunities to play and be physically active through basketball and swimming. Volunteers of America, Dakotas, Shelter Care program: The Players Trust funding will be used to purchase high-quality and durable furnishings and appliances for the agency’s Shelter Care program. Shelter Care is a residential program that annually serves more than 400 boys and girls ages 9-17. Replacement of the 20-year old furniture and appliances will help improve Shelter Care’s environment and increase youth participants’ sense of safety and well-being, while also providing them with healthy and balanced meals. Volunteers of America of Massachusetts, Casa Isla and Rebound Adolescent Boys Programs: This grant will purchase equipment for the Next Level Fitness Program. Next Level will provide residents with a structured training program that will help them maintain their weight, increase muscle tone and minimize risks of developing diabetes and high blood pressure, which are becoming more common among teenagers. Additionally, the fitness program will help residents stay more focused on their goals and achieve greater academic success. Volunteers of America of Western Nebraska, Community Swimming Pool: Volunteers of America of Western Nebraska, in partnership with the City of Oshkosh and other community groups, will focus on increasing physical activity and nutrition education while providing fitness opportunities for residents in a high poverty area that has limited access to comprehensive health facilities. Grant funds will be used to construct a new community swimming pool to provide access to aquatic exercise and swimming for children and families. The rural area has poor health rankings with a high prevalence of obesity and other chronic conditions. Volunteers of America Southeast, Eagles Landing: Funding will used for construction of a multi-purpose building to be used as a fitness and life skills training center at Eagles Landing, a 38-unit independent apartment community for veterans. Fitness will be an important factor as residents begin to rebuild their strength, resistance and endurance. The building will also serve as an area where meetings and trainings can be held, and where life skills can be developed and refined. With the addition of this space, Veterans will become healthier both physically and emotionally. Volunteers of America Texas, McGovern Lavender program: The grant will be used to purchase a 15-passenger van for the McGovern Lavender site, a comprehensive substance abuse recovery program serving women with children. Reliable transportation is fundamental to the goal of allowing clients to stay engaged with their families and the world outside of treatment. The van will enable clients to more easily seek employment and training opportunities, participate in the lives of their children, and gain access to community resources that will help them build healthy, more fulfilling lives after addiction. Volunteers of America, Utah, Homeless Youth Resource Center: Funds will support the establishment of the new Homeless Youth Resource Center in Salt Lake City. The center will establish the first dedicated emergency shelter for youth ages 15-22, and will support the advancement in education, employment and housing services. The current center supports 45 homeless youth a day on average – and more than 900 youth annually – and has outgrown its capacity to accommodate all those in need of its services. The new center will serve 1,000 youth and ensure they have access to services and referrals. Volunteers of America has partnered with the Major League Baseball Players Trust since 2002. The centerpiece of this relationship is the Action Team program, which encourages young people throughout the United States to volunteer in their communities. Action Teams, consisting of Major League baseball players and Team Captains from area high schools, work together in cities nationwide to encourage young people to get involved in their communities by volunteering. To date, Action Teams across the country have inspired more than 65,000 high school students to help over 205,000 people in need by volunteering in their communities. For more information visit www.ActionTeam.org. Volunteers of America is a national, nonprofit, faith-based organization dedicated to helping those in need live healthy, safe and productive lives. Since 1896, our ministry of service has supported and empowered America's most vulnerable groups, including seniors, people with disabilities, at-risk youth, men and women returning from prison, homeless individuals and families, those recovering from addictions and many others. Through hundreds of human service programs, including housing and health care, Volunteers of America helps almost 2.5 million people in over 400 communities. We offer a variety of services for older Americans, in particular, that allow them to maintain their independence and quality of life – everything from an occasional helping hand to full-time care. Our work touches the mind, body, heart and ultimately the spirit of those we serve, integrating our deep compassion with highly effective programs and services. For more information about Volunteers of America, visit www.VolunteersofAmerica.org. The Major League Baseball Players Trust partnered with Volunteers of America in 2002 to promote the nurturing and well-being of America’s children and their families. The partnership features the personal involvement of Major League baseball players and their families with a variety of programs conducted by Volunteers of America throughout the United States. Also, together they administer the Action Team, a national youth volunteer program currently inspiring the next generation of volunteers across the United States, including Puerto Rico and Hawaii. 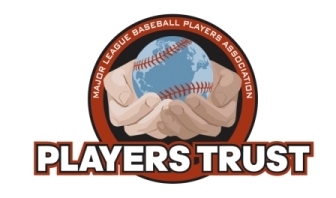 For more information about the Major League Baseball Players Trust, visit www.PlayersTrust.org and visit the Players Trust Channel at http://www.youtube.com/user/MLBPlayersTrust on YouTube.